In a recent statistical analysis, A.M. Best Co. released its preliminary 2001 financial results on the property/casualty industry, which reports that property and liability lines had significant new risk exposure in 2001. The result has been an acceleration of market hardening at a time when most insurers and reinsurers are unwilling to cover terrorism risk. The negative impact on the profitability of the property/casualty industry in 2001 are a result of the events of Sept. 11, the Enron scandal and growing mold problems in Texas. The events of Sept. 11 alone caused every line of significantly exposed business to record its worst loss ever. 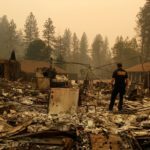 The study concludes that in an effort to counteract the effects of these and other catastrophic events, insurers will have to more closely monitor their spread of risk on a geographical and business-class basis, exclude or fully price most uncertain risks and optimize their reinsurance programs. Likewise, insurers are paying much greater attention to their bottom lines than to top-line growth, and markets with restricted pricing or limited profit potential are experiencing tighter capacity. Price firming was apparent well before Sept. 11, as years of price wars exhausted reserve redundancies and some competitors exited certain markets or tightened underwriting. Upward climbing combined ratios prompted a return to operating fundamentals. With price firming more aggressive, the middle market is now more attractive to commercial insurers. The commercial automobile market was so underpriced before the current turnaround that several years of substantial rate increases are needed before reasonable profitability is achieved. The consumer-driven personal lines market has been slower to turn around. The number of large named catastrophes decreased in 2001, while the frequency of small events skyrocketed. Tropical storms have proven highly destructive.